Mike is the Founder & Managing Director of Purposeful, an award-winning social impact consultancy that helps clients to create and narrate greater social impact; and to develop a high performing and purpose-driven culture. 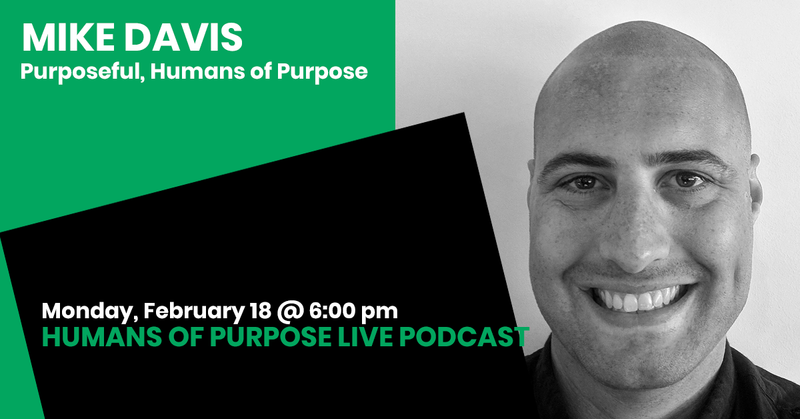 He is creator and host of the Humans of Purpose podcast, where each week he hosts conversations with senior leaders from Australia’s business, startup and social purpose sectors. He is also a Director at SIMNA, Australia’s peak social impact measurement body. After a career working in senior roles in the law, at not for profits and in government, Mike took his agile, human-centred approach to impact consulting, forming his company Purposeful. Purposeful now works with government, not for profits and companies, helping them to measure and communicate impact and to develop purpose-driven culture.